At this step of the wizard, specify database files location. 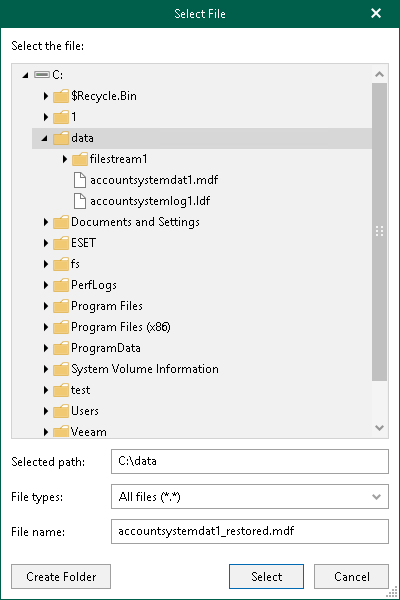 Click Browse to specify the path for the primary database file, secondary database and log files, as described in Selecting Files. Make sure the account you are using has Read and Write permissions. 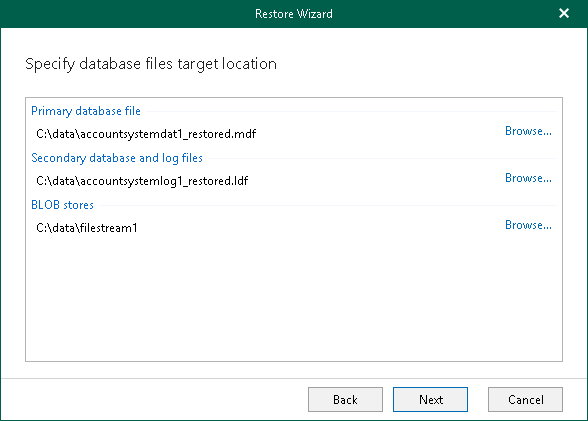 In the Select File dialog, select a database file or folder for the database being restored and click OK.